Southern France is one of the most beautiful regions in the world. But I’m sure we don’t need to tell you that! From television footage of the Cannes Film Festival on the News, to photographs of lavender fields, to the paintings of Van Gogh and Cezanne: even if you have yet to visit, chances are you’ve already glimpsed some of the beauties that are to be found here. Yet in order to really experience the South of France, there is no substitute for spending some time living here. Even if the commitment of moving permanently to another country is out of the question: you can still absorb much of what is on offer by taking up residence even for a short amount of time. The perfect way to do this is to rent your own South France Villa – more authentic than a room in a high-rise hotel, it enables you to live in a truly French manner, if only for a week or a month. To kick off our new blog, we’d like to begin with one of our favourite cities in the South of France: Béziers. Béziers is often neglected in the standard tourist itinerary, which is both an enourmous oversight but also a blessing — compared to some other more famous cities in Southern France, Béziers remains much more authentic. If you are thirsting for a taste of the real Languedoc, then you may well have just found the place to satisfy your thirst. Indeed, if thirst is in fact something of a concern for you, then you’re in luck – Béziers and the surrounding region is host to some of the best wines that can be found in France. Béziers is often called Southern France’s Capital of Wine. Now that’s quite a claim – but Béziers has had such a long tradition of wine-making that it’s no wonder that the wine has become so highly respected. The region began its romance with wine when it was a thriving Roman colony. The Romans exported white wine and olives from Béziers back to Rome. It was during the 19th century, however, that Béziers really began to make its name as a wine-making region. Better transport meant that the winemakers could begin to export their wine far and wide, and Béziers became something of a boom-town. The overproduction which caused the Winemaker’s revolt around the turn of the 20th century briefly halted the progress of the wine industry in Béziers, however now the region is back with a vengence – its wine is better than it’s ever been. The wine in Béziers is, quite logically, designed to match the local diet. Being so close to the sea, the cuisine is largely based on seafood, which is reflected by many of the wines produced here. Yet wine isn’t the only big drawcard in Béziers – it is also host to arguably the best festival in Languedoc. Every year in August, Béziers’ ‘Feria’ attracts over a million visitors. It features five days of fireworks, music, street entertainment, a soccer match, wine fair and parties. 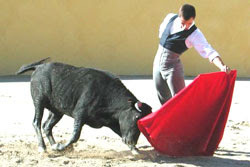 The main attraction of the Feria, however, is the bullfighting. The Iberian-influenced bullfights which you can find in Béziers are full of spectacle and flair. They are rich in tradition and ceremony, and include lots of showy choreography. Yet Béziers still has so much more to offer. It is close to the beach where you can soak up the sun on the sand, or engage in many water activities such as jet skiing, windsurfing and sailing. Cycling, horse-riding, hiking and golfing are also popular leisure activities. For the more adventurous, there is caving, bungee jumping, ‘acrobranching’ (treetop adventure course), mountain biking and quad biking. 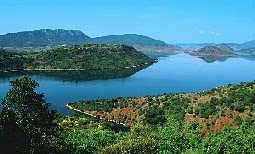 It is also the perfect base from which to explore the wild, rugged Languedoc region. – Béziers now has 107,800 hectares of vineyards, making it the biggest wine producing area in the world. – “Labyrinth”, a novel by Kate Mosse, draws on the history of Béziers. – On average, the Languedoc region has 300 days of sunshine a year.